Sanja Milutinović-Gudurić is a guitarist who performs in Macedonia, Belarus and Bulgaria, as well as her native Serbia. She teaches the guitar at Zrenjanin Music School in Novi Sad, Serbia, and has composed many pieces for teaching and concert use. These pieces are tuneful and nostalgic without being sentimental, and beautifully written for the guitar. 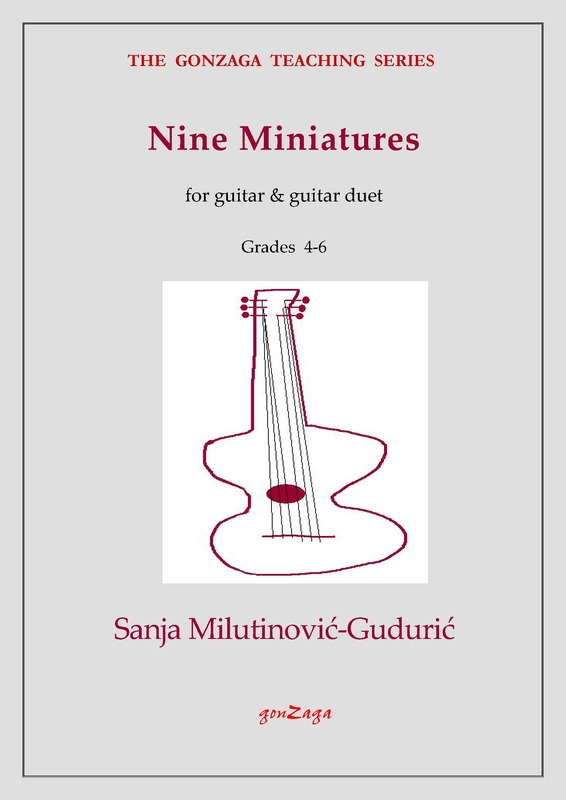 They make excellent recital pieces, as well as being ideal for students. The last two pieces are scored for two guitars.